Stacy is ranked as “Up and Coming” in the Employee Benefits and Executive Compensation space by the premier lawyer ranking service Chambers®. Stacy is one of the nation’s leading experts on the Affordable Care Act. 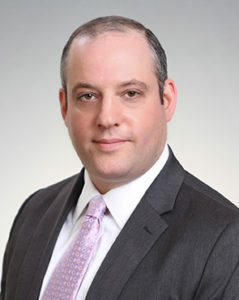 He uses a practical, business-focused approach to counsel his clients on all matters related to employee benefit plans. Stacy has extensive technical knowledge and experience designing and implementing health and welfare plans that meet the numerous and intricate requirements of applicable federal and state law. It is fair to say that few, if any, advisors have more practical and hands on experience assisting clients with the requirements of the Affordable Care Act. Stacy has worked—and continues to work with—hundreds of clients nationally on all aspects of Affordable Care Act compliance. National providers of reporting and tracking tools seek out Stacy’s assistance to ensure that their products comply with the Affordable Care Act. Stacy is a sought after speaker on all aspects of the Affordable Care Act and employee benefit programs in general. He has published numerous articles and has been widely quoted on issues arising under the Affordable Care Act. He is widely recognized by clients, opposing counsel and national law firm ranking organizations as among the best in the field. Prior to practicing law, Stacy’s experience includes work as a compliance consultant for an international insurance brokerage and risk management firm, and as an actuarial analyst for a Big 4 public accounting firm. Prior to co-founding the firm Stacy was an associate at Proskauer Rose and K&L Gates. I understand: Before sending us an email, please confirm your understanding of the following: Our Web site, www.marbarlaw.com, is intended for general use and is not and should not be considered legal advice. Your email is not intended to create, and our receipt of it does not create or constitute, an attorney-client relationship. Any information that you provide to anyone at our firm cannot be considered confidential or privileged unless we agree to represent you. By sending this email, you confirm that you have read and understand this notice. © 2019 Marathas Barrow Weatherhead Lent LLP All rights reserved.